On a cold evening of Dec. 20, 1869, a man of integrity took the oath of office as Smyrna’s very first mayor. Maverick, trailblazer, pioneer, innovator and pacesetter all define the universal persona of one amazing individual Joseph Engles. He was an attorney and resident of Smyrna. Engles is a man whose portrait hangs today within our City Hall. In recent times, his greatg reat- grandson from California has been in touch with me to make inquiry of this notable ancestor. O ur emerging mayor sought this position, garnering 25 votes to lead Smyrna to new heights. He set the precedent as one man willing for change, as he laid the foundation to make lives better. He also preceded a host of mayors to hold office over the next 140 years. Engles was a highly intelligent man and set in motion a groundbreaking charter that created the Smyrna we have at hand today. Having lived in Smyrna during the Civil War, Engles was a first-hand witness to the Stones River Battle in Murfreesboro on Dec. 31, 1862. The county was shaking with the influx of 80,000 soldiers from the Union and South, as armies convened on the ice-covered Stones River to fight one of the most memorable engagements of the war. Engles scoped the end result of l5,000 wounded and 3,000 killed. He was also very familiar with Smyrna legend Sam Davis and knew of his capture by Federal troops in Minor Hill on Nov. 20, 1863, as well as Davis’ subsequent hanging seven days later. Engles was determined then a better day was ahead for both Rutherford County and Smyrna. He would pick up the pieces and forge ahead on the heels of the most tragic war ever to besiege Rutherford County with big plans for a new and improved community. 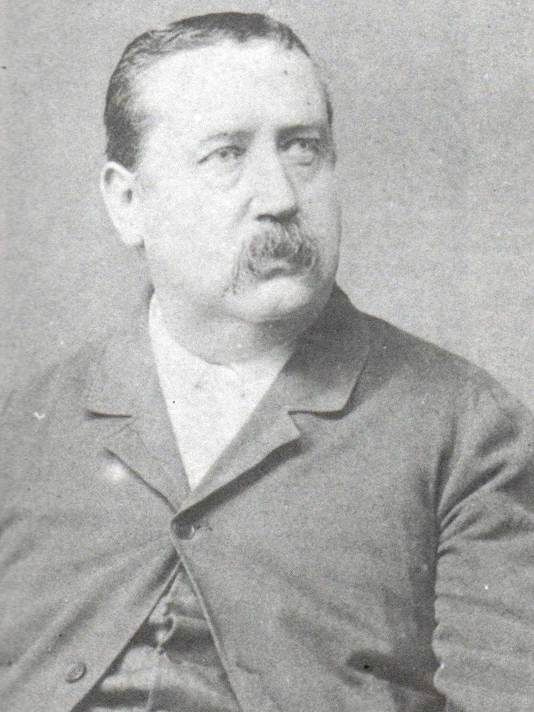 The inaugural dynasty of Joseph Engles spanned 1869-1875. He was re-elected annually and was identified in our charter as “Mayor and Recorder and Justice of the Peace.” His mission statement was “to assess fines and render judgments.” Engles’ signature sealed Smyrna’s first incorporation in December 1869. One month later, in January 1870, Engles’ first order of business was to build a police station and elect two police officers and a treasurer and establish Smyrna’s original tax structure. His first constable of our city was J.W. Hight, while John Adkerson was chosen as deputy sheriff. In the late 1800s, Smyrna encompassed a population of 300 and a rural area of large farms with cotton as the significant crop. Having a new government was a transitional stage for a farming town and one taken seriously by Engles. He moved boldly and swiftly in transition as a cutting-edge mayor but never carried a big stick. He was open to improvements and coveted fresh ideas from citizens to make the town succeed. Engles adopted the concept of “team player” and was determined to keep his mind open for the good of all. A few of the more interesting and foremost contributions established within Engles’ leadership included new city guidelines. If a man was in a saloon drinking on Sunday, a fine up to $25 was imposed. If disturbing public worship, a fine of $10 was enacted. Firing a gun in the city limits of Smyrna carried a fine of $1, while the usage of obscene language on Sunday carried the same assessment. If racing horses in Smyrna, a fine for this offense was $5. No doubt these were hefty sums for an 1870 ordinance. Mayor Engles was a busy and determined man, as he configured our credible bylaws with a serious intent. After a tenure as mayor, attorney Joseph Engles convened with Capt. Charles Sheafe in a law partnership in continuation of public service. Our outstanding Mayor Joseph Engles had an equally outstanding son Dr. J.W. Engles, who was mayor of Smyrna in 1915 and a resident of 107 College St. and later Almaville Road. Mayor J.W. Engles re-incorporated the city in 1915. He was also a physician and a graduate of the University of Nashville and Vanderbilt. In 1911, Dr. Engles joined Dr. J.S. Lowry in the new Smyrna Drug Store until 1917. Records indicate Smyrna had its first fire engine in 1916 under his administration. He also officiated in the laying of the cornerstone on the original Methodist Church in 1872 and was a past master of the Masonic Lodge. What emotions would Joseph Engles, novice mayor, invoke regarding our present-day Nissan plant, the commercial spread of Sam Ridley Parkway and our airport within the city’s 22 square miles? He would smile and say strongly that Smyrna has led the way to a better tomorrow. This progressive luminary laid the original foundation of vision.